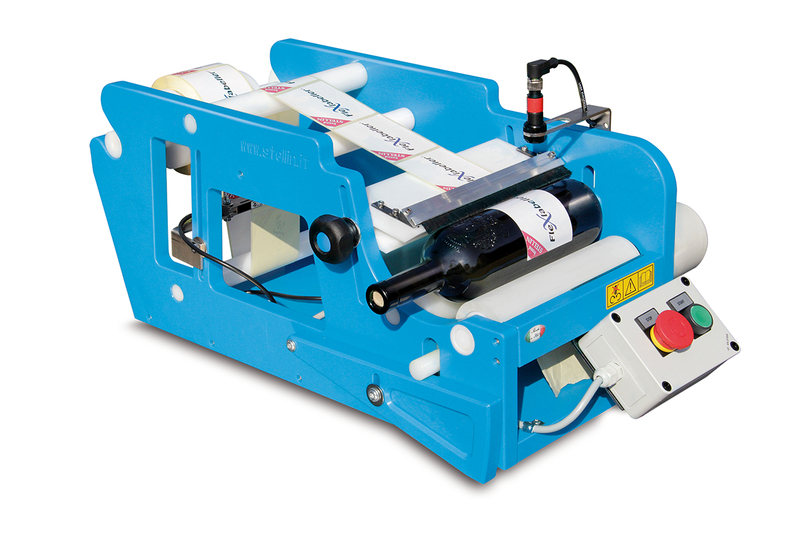 Manual and semi-automatic bottle labellers for labelling beverage and wine bottles. Labellers help you to be consistent when labelling bottles as it allows you to stick the labels on the bottles exactly on the same positions. Labellers are easy to operate and to regulate according to different bottle measures. According to labeller model, it is possible to label only round or square bottles. 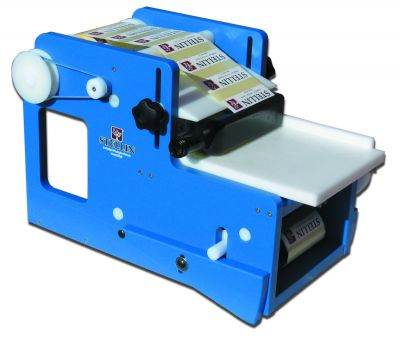 Manual labeller FleXlabeller PE with handwheel is perfect for glass bottles or plastic jars, cans or for other kinds of cylindrical objects with smooth surfaces with diameter of 50 to 120 mm. 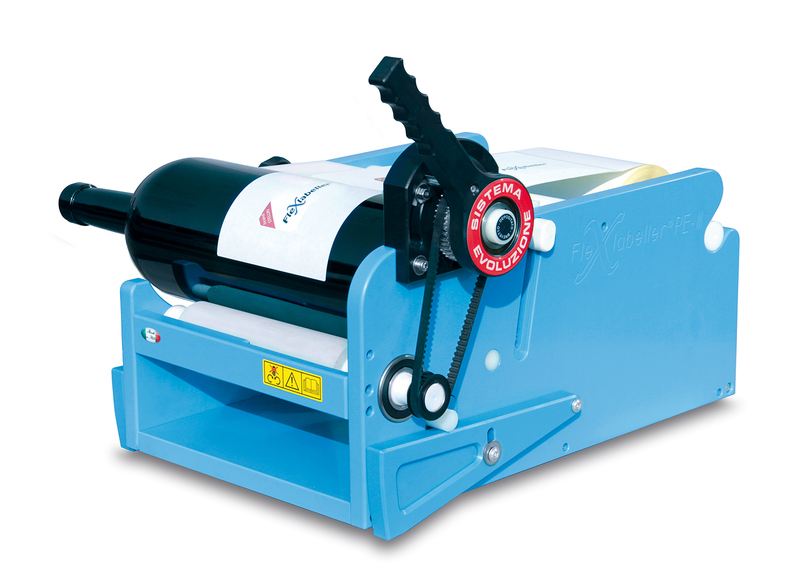 Manual labeller FleXlabeller Evoluzione with lever is perfect for glass bottles or plastic jars, cans or for other kinds of cylindrical objects with smooth surfaces with diameter of 50 to 120 mm. 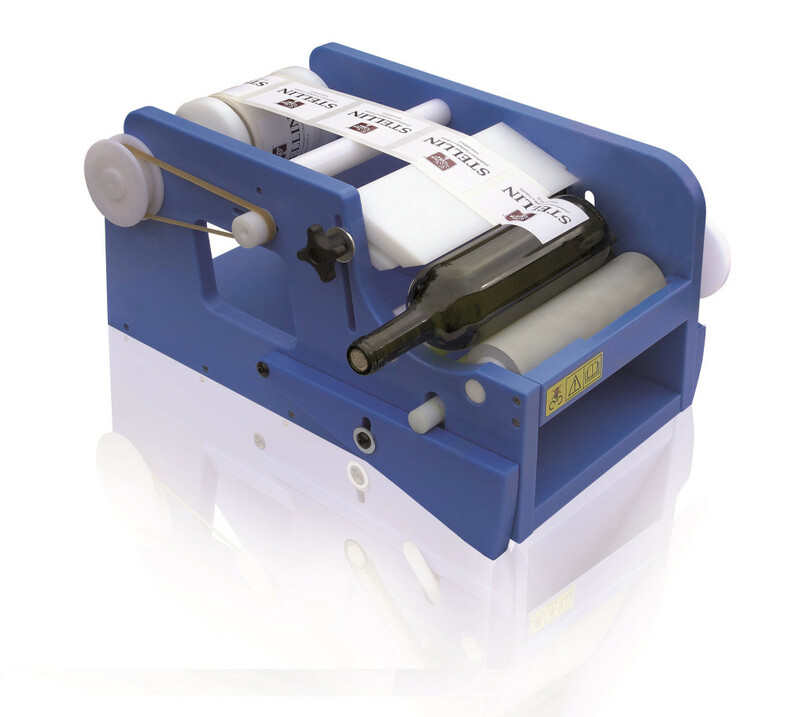 Manual labeller FleXlabeller PE-Q is perfect for square and rectangular bottles of glass, plastic or for any other object with smooth surface. Semiautomatic labeller FleXlabeller PE-E with photocell and start button. Perfect for bottles of glass, jars, plastic bottles, cans or for any other cylindrical object with smooth surface and diameter of 50 to 120 mm. 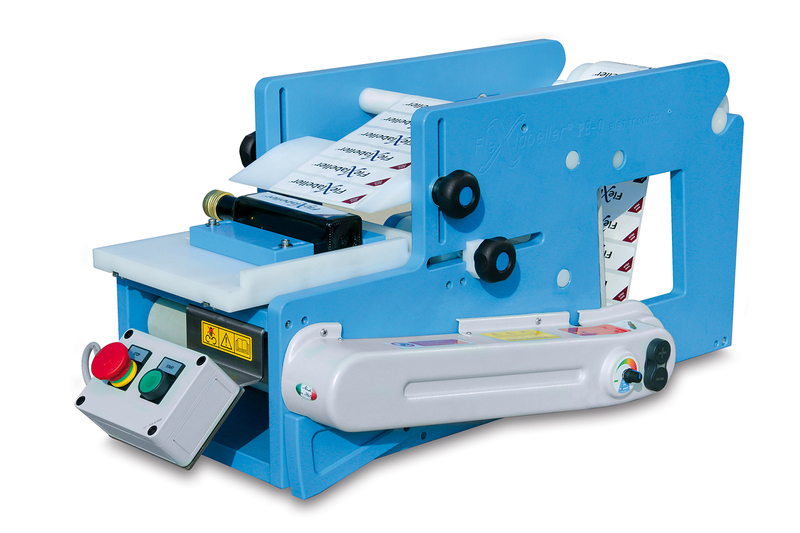 Semiautomatic labeller FleXlabeller PE-ET with automatic stamp. Perfect for bottles of glass, jars, plastic bottles, cans or for any other cylindrical object with smooth surface and diameter of 50 to 120 mm. 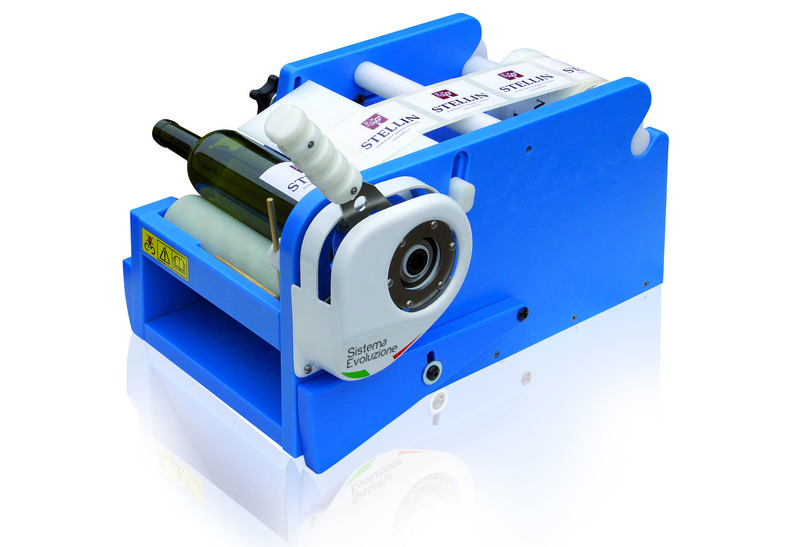 Semiautomatic labeller FleXlabeller PE-EQ with photocell and start button. Perfect for up to 1-litre square and rectangular glass or plastic bottles and jars. 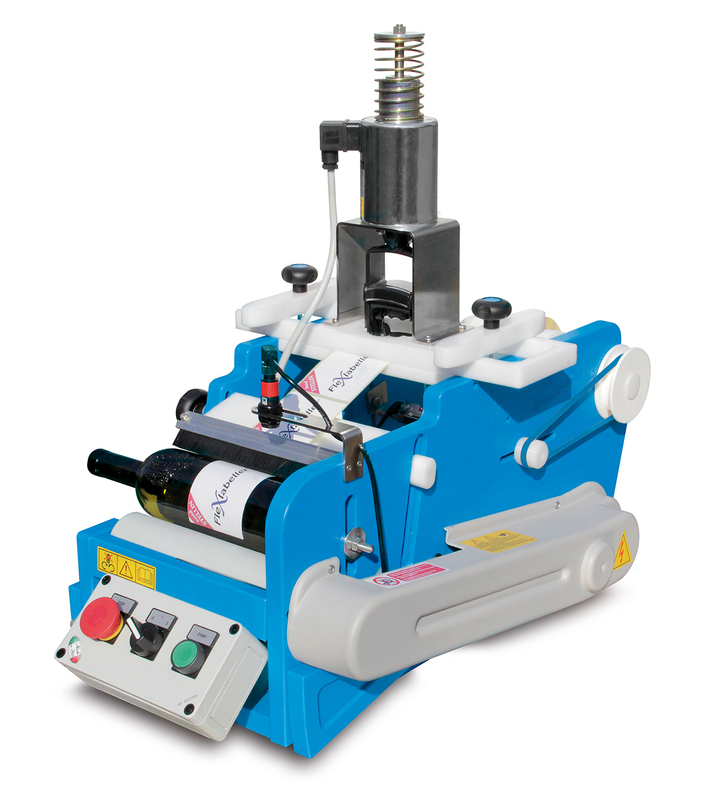 Manual labeller FleXlabeller EVO MAGNUM with lever is perfect for bigger glass bottles or plastic jars, cans or for other kinds of cylindrical objects with smooth surfaces with diameter of 50 to 150 mm.